A traditional Scandinavian combination folding chair and table was hand crafted about 1900. Solid mahogany, the finish has been revarnished for durability. 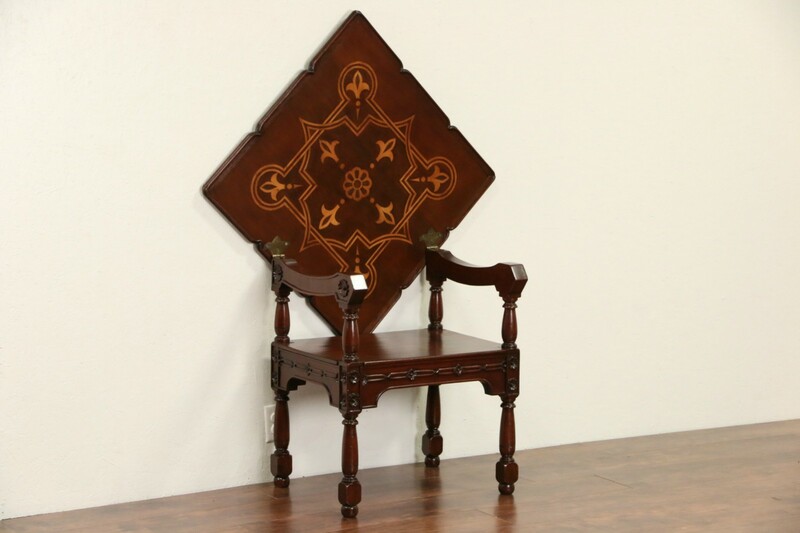 Inlaid marquetry is a folk art design. Brass hinges are original and the frame is tight and solid. Measurements in table position are 30" square and 29" tall, in chair position, size is 42" wide, 57" tall, 21" deep and the seat is 18" high.